A privately held global agriculture, transportation and planning leader helps farmers across the world get grain from field to market. Part of this firm’s success depends on the precise prediction of crop quality and yield in what’s becoming an increasingly unpredictable environment. In an effort to bring more science to the art of forecasting, the company reached out to BlueGranite. Analysts wanted to gauge the quality of incoming grain over time, by supplier. Discovering potential trends could help project future grain quantity and quality. While the group had access to masses of data, it needed an easy way to gather and review it. The corporation’s grain division buys harvests directly from farmers. The relationship with each farmer, or landlord, begins with a contract, usually seasonal, stating the amount of grain the company plans to buy, and the price it will pay. Several quality factors can affect worth. When farmers bring their grain to the local elevator, the agriculture company conducts an initial review to establish product quality, storability, and moisture levels - all of which establish the crop’s value and a farmer’s payout. The grain division needed a way to view details, both small and large, of incoming product. Analysts wanted to know which growers were supplying the sum and quality of grain promised, and who was falling behind. Tracking this data could help set pricing and estimate potential revenue. While the firm had access to some of these numbers, it was difficult to access and hard to combine for a big-picture view. This arm of the company needed modern, agile business intelligence tools. We met with users to clarify what data they needed, then worked to get it into a useable format. The cost-effective, easy-to-use result lets analysts slice and dice data any way they want. With the ability to delve deeper into grain data, operations are more efficient and product quality has improved. The company’s accounting division also had challenges. While it had a BI platform, it was an older, expensive cube technology, and it was hard to find experienced operators. We took what users appreciated about the legacy system, duplicated the functionality, and then moved it to a universally supported, user-friendly BI platform. As a result of these early successful collaborations, our relationship has grown. BlueGranite is the firm’s trusted business intelligence advisor and data analytics champion. We are now collaboratively working to streamline other areas of operations within the massive company – and the additional steps could positively impact everything from crop health to speed of delivery. Ready to explore the many ways analytics can improve your company’s bottom line? BlueGranite would love to be your trusted advisor. Contact us today to learn how we can put your data to work. 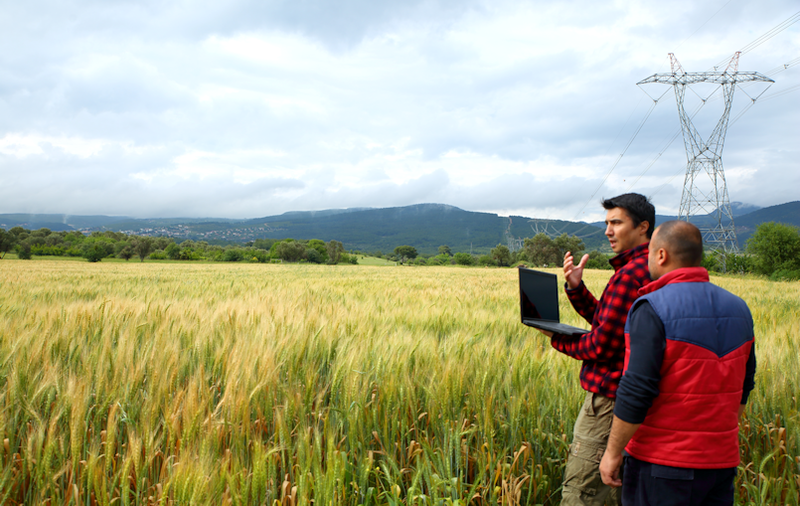 We used SQL Server 2016 Integration Services to pull data from their agricultural management software into a SQL Server 2016-based data warehouse. It loads the data with a 2-pronged approach: a primary overnight load and incremental updates throughout the day. That data is served to analysts via a SQL Server Analysis Services 2016 Tabular. It too is updated throughout the day, giving users up-to-date information without waiting on the overnight loads. Analysts access the data using a variety of tools, including reports in SQL Server Reporting Services and Power BI as well as ad-hoc analysis in both Excel and Power BI. It gives them the advantages of consistent reporting and the ability to delve into the data to their hearts’ content.